From the makers of the Moroccan restaurant Al Majis, comes something completely different. Issan food: Som tum, spicy sausages, and sun dried beef. Casual garden and indoor seating as well as competitive pricing makes this place a go-to spot for Thai tastes. One of the more interesting menu items is a do-it-yourself som tum kit, complete with motar (krok) and instructions. 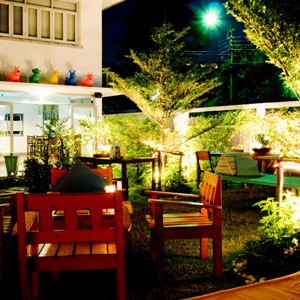 Insider Tip: Al Matum is one of the few Bangkok spots that serves Beer Lao. From Ekamai BTS Station, take a taxi to Ekamai Soi 12, turn at your first left to Soi Pridi. Keep going straight, near the end of the soi Al Matum will be on your right.